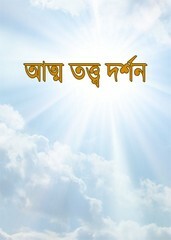 ‘Atma Tattwa Darshan’ is an Atma Tattwa nirnayak collection book and this spiritual book corrected by Jaganmohan Tarkalankar, collected and Published by Nilmani Mukhopadhyay. Collect the ebook as pdf file from link below. Collect the pdf, @Anup babu- Please click on the book name which is on last paragraph or click the link below.